◎ The People’s Republic of China has successfully defied the international order and is relentlessly remaking it in its own mold. It once was hoped that engaging China’s communist regime, and welcoming it to the family of nations, eventually would modify its domestic and international behavior and encourage compliance with international norms, such as the Universal Declaration of Human Rights. Meanwhile, in what was East Turkestan before China’s 1950 invasion but now is Xinjiang Province, Chinese officials are conducting a campaign of political and religious repression that constitutes cultural genocide at a minimum. With over 1 million Uyghurs confined to “re-education camps” under deplorable conditions, and reports of mass disappearances, the situation may devolve into an ethnic cleansing. If China is seeking to wipe out all or much of a religious or ethnic population, it would be guilty of meeting the United Nations definition of genocide. The brutal facts of what is happening to the Uyghurs have been exposed to the family of nations. But the nations, including Muslim governments and populations quick to protest every perceived Western slight, have chosen not to get involved for fear of damaging their economic relations with China. Instead, as Beijing commits crimes against humanity, akin in some ways to Nazi Germany’s atrocities, the world conducts business as usual with the perpetrators, just as it did in the 1930s. Not even one of the world’s great moral heroes was immune to the pressures of China’s financial inducements. As he prepared to run for president of South Africa in 1993, Nelson Mandela visited Taiwan. (He had been to China the year before.) 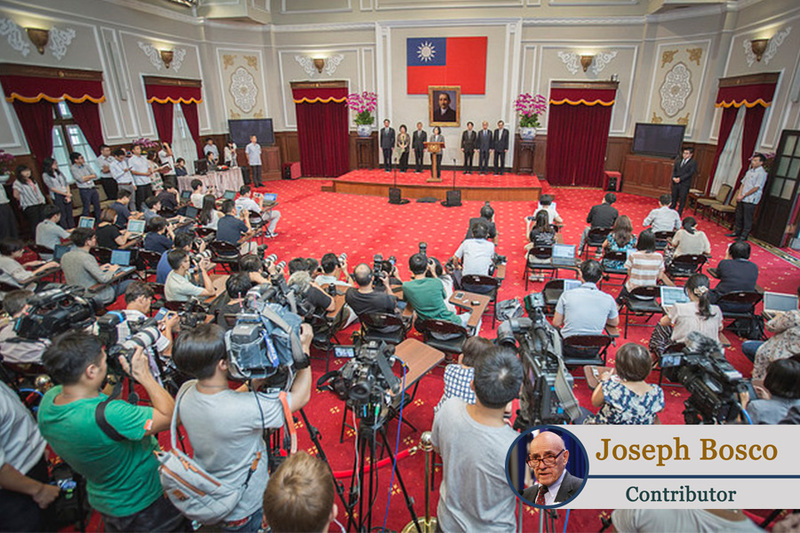 For his lifelong contributions to freedom, democracy and justice, President Lee Teng-hui awarded him Taiwan’s highest honor for a foreign national. The Republic of China, under the Kuomintang government, had longstanding diplomatic relations with the deClerk government, while Beijing had supported the black liberation movement. But the ROC strongly supported Mandela’s presidential campaign as Beijing threw its lot in with a rival to Mandela’s African National Congress. But the country’s economic woes, after decades of apartheid rule, simply left no viable alternative to Beijing’s largesse and Mandela had to make a moral choice in the interests of the South African people. In 1997, in what he described as an “agonizing” decision, he did what outsiders long had seen as inevitable and severed official relations with Taiwan, though he made the change effective a year later to allow Taiwan time to adjust — a courtesy President Jimmy Carter did not accord Taiwan in 1979.